My how they have grown. Paco and Priscilla sure do love their own little pig pen in the sanctuary of Happy Trails. We would love to adopt these two out but know and understand the difficulty of finding the right home for two enormous farm pigs! Until that time I think they vote Happy Trails volunteers as the best at keeping them content during their search. Two farm pigs who are best friends. Paco along with Priscilla originally arrived from a situation of neglect in Medina County and were placed in foster care. When space opened up at Happy Trails, they became residents of the sanctuary. 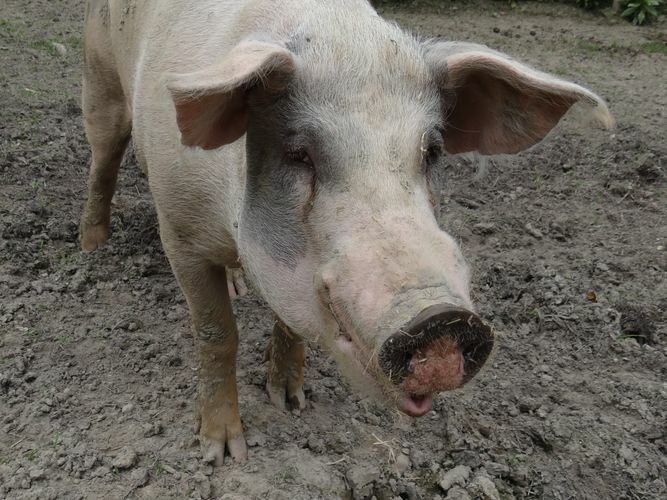 They are very affectionate and loving, and will make great family pets for someone who adores the funny antics of pigs.